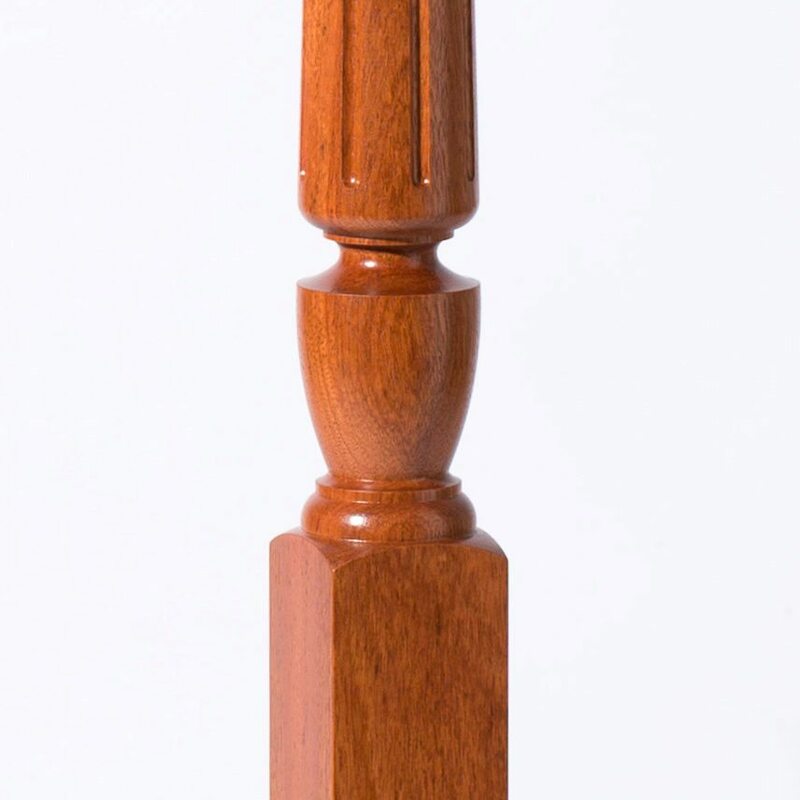 Marion Newels have urn-shaped designs and other stylized parts that give them an overall look of exceptional quality. 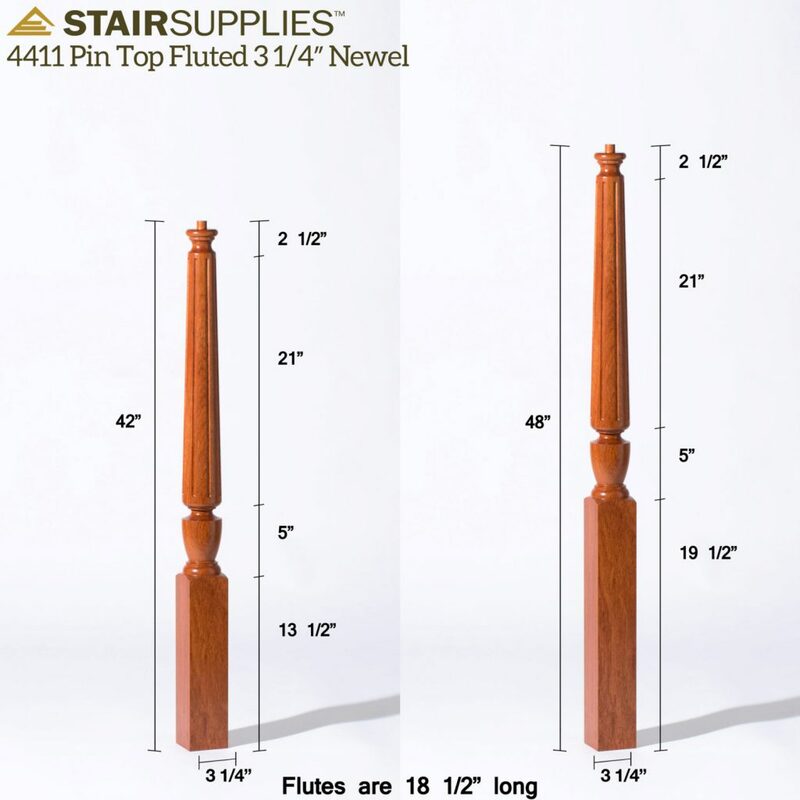 The 4411 Pin Top Fluted 3 1/4″ Newel has multiple long flutes that give the newel additional sophistication. 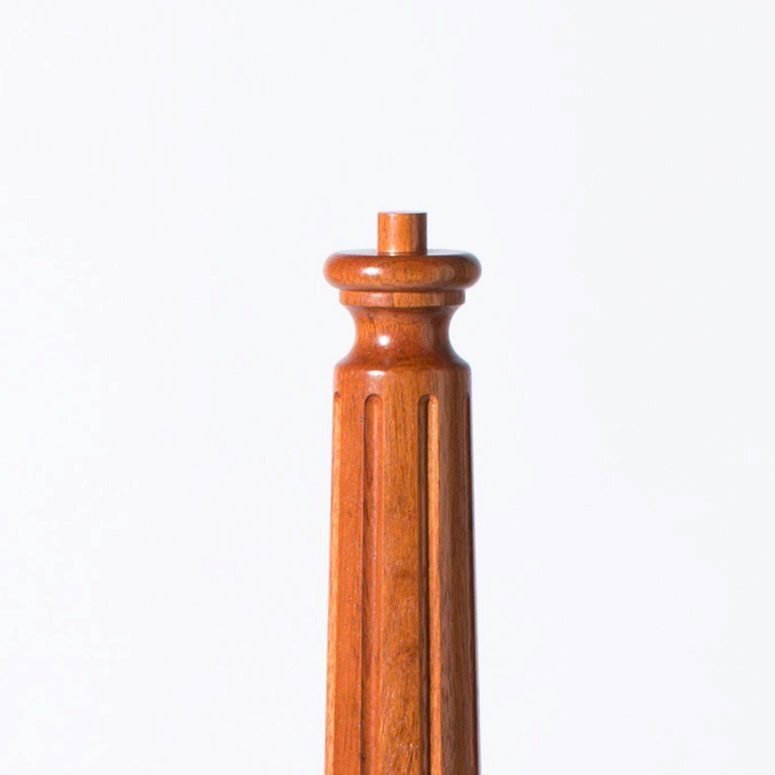 The pin top design of the 4411 newel is used to connect it to handrail fittings. 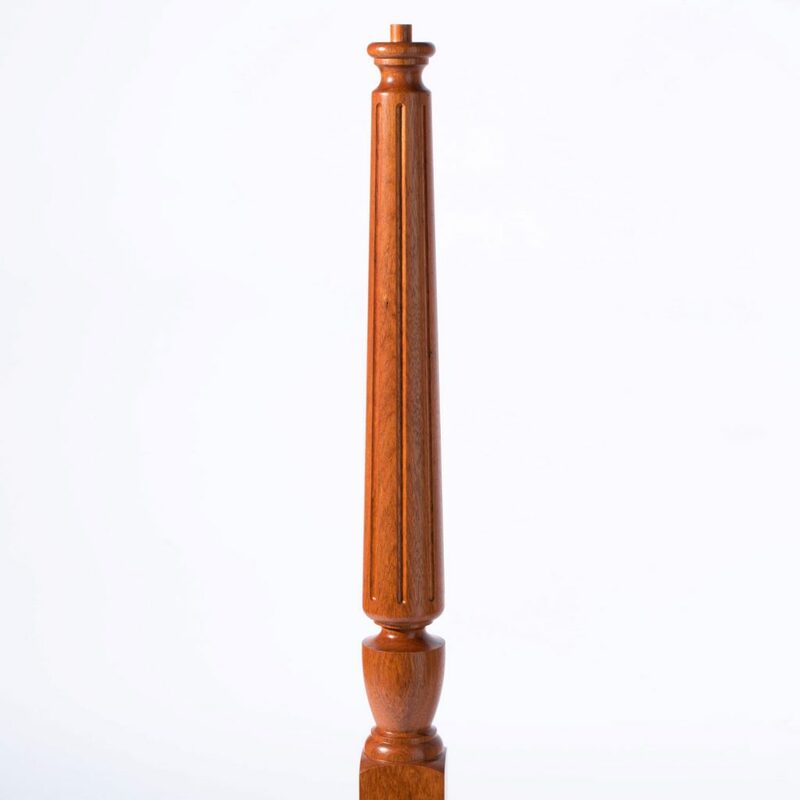 Handrail fittings used with this newel can add decoration, or make transitions smooth. 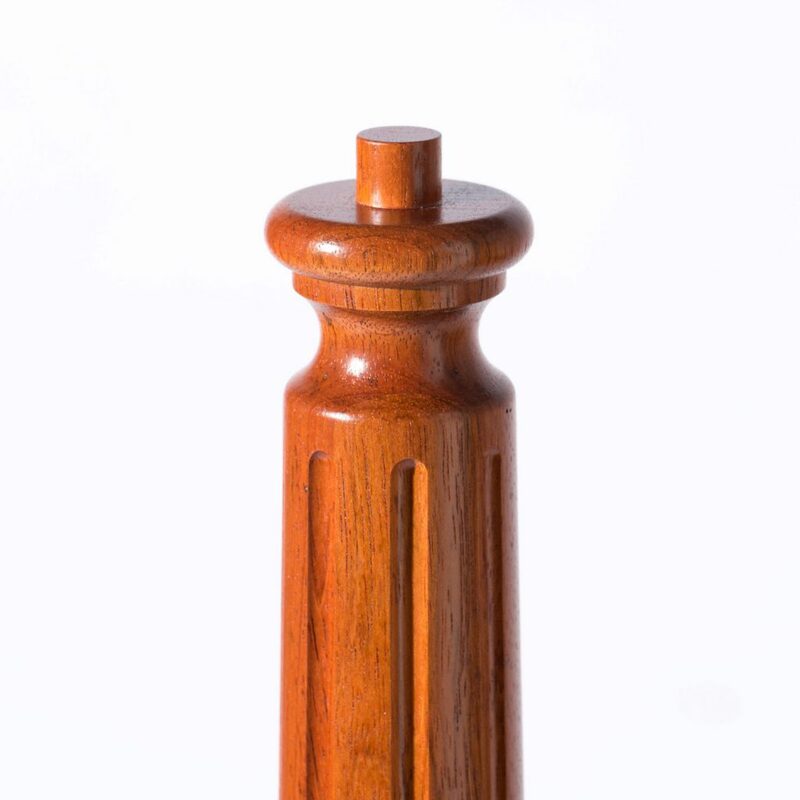 Marion Newels are 3 ¼” wide and add a stately appearance to any home. 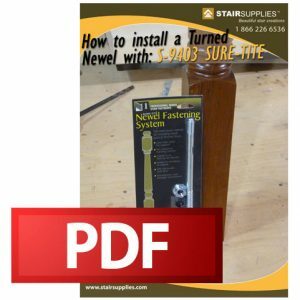 Turned Newels mount on a stair, landing tread, or floor using the Sure-Tite System. 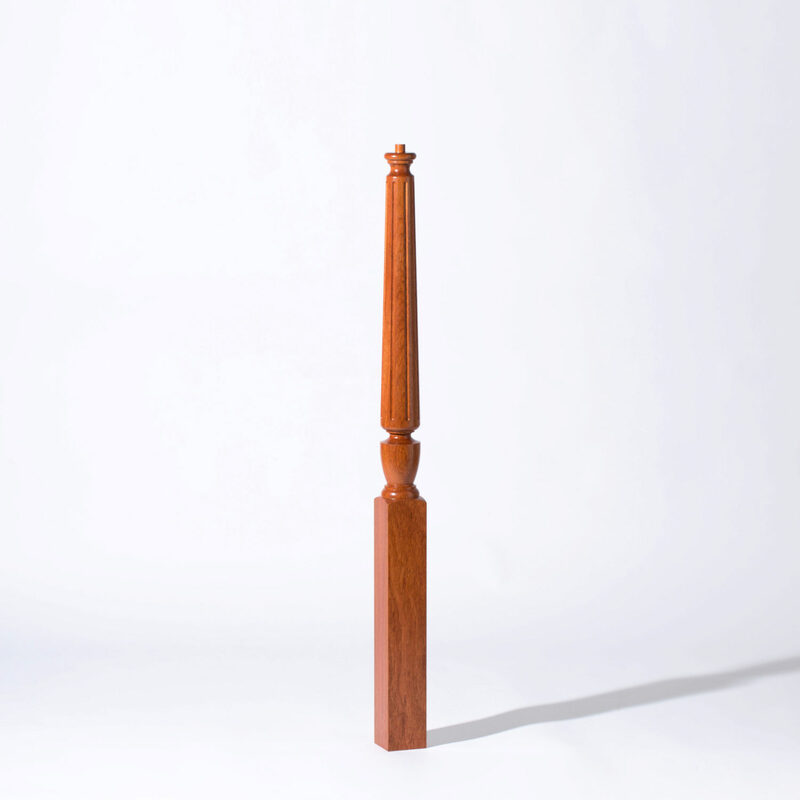 Finished Turned Newels will be coated with a Pre-catalyzed Lacquer to protect them against natural oils on skin.